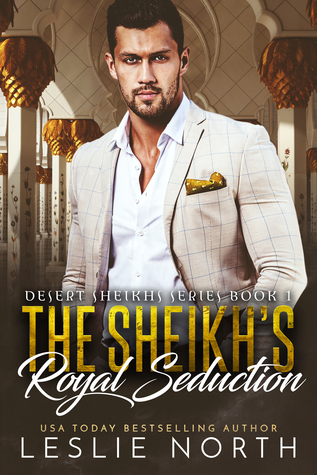 Desperate to save his favorite lioness, Sala, from a deadly disease, Prince Zatar summons exotic wildlife veterinarian Alex Seaton to the palace. But when a stunning woman clad in western clothing arrives at the palace, he’s convinced there must be a mistake. The sharp-tongued, defiant woman couldn’t possibly be skilled enough to save Sala. However, as she works to heal his beloved pet, a dark passion simmers between them. To take her to his bed would be scandalous, but how can he resist such sweet temptation? Alexis Seaton is all too aware of the practiced seduction of royalty. As a renowned animal healer, she’s spent time in countless luxurious gardens with some of the most exotic big cats in the world. To maintain her professional status, she must resist the prince’s sultry, searching eyes and sensual promises. Only a fool would give up her life’s passion for one night in the arms of a man who would forget her by morning.